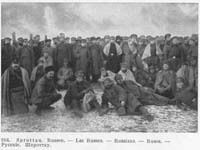 1 The Armistice marked the end of the fighting on the Western Front, and the Treaty of Brest-Litovsk technically concluded the fighting in the East, but by November 1918 the political situation in the East was chaotic. 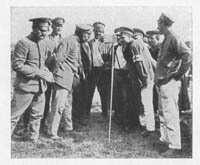 Bulgaria ended its participation in the war in September, and the prisoner repatriation process reflected the terrible conditions that POWs had endured in that country during the war. 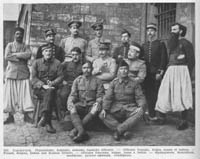 Turkey surrendered shortly thereafter, before the Association could send secretaries to Ottoman prison camps. Another important problem emerged in Germany with the continued incarceration of Russian prisoners. The Russian Civil War undermined political stability across the republic, as various White Russian armies arose to challenge Bolshevik rule. 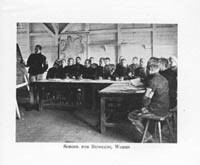 The Allied High Command decided that returning Russian POWs would augment the Red Army and ordered the German government to halt the repatriation process. At the same time, the Allies refused to lift the blockade or provide any assistance to Russian prisoners in Germany. This exacerbated the terrible conditions Russian POWs lived under, and the American YMCA attempted to ease their pain while fighting the Bolshevik propaganda emerging in prison camps. 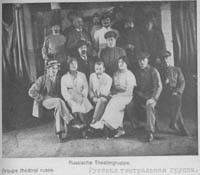 15 Armed with official permission, the American YMCA enjoyed comparative freedom in serving Russian prisoners. Secretaries had unrestricted access to prison camps, and they organized special committees to promote relief activities. Hoffman addressed problems in the most neglected prison camps first. 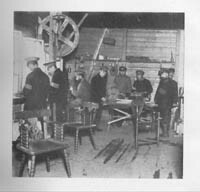 He sent Red Triangle workers to Sprottau (where tuberculosis had broken out), Lamsdorf, and Neuhammer, all in Silesia. This WPA work expanded with the arrival of three American secretaries dedicated to Russian relief efforts in April 1919. 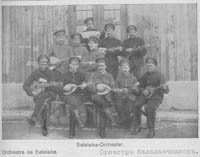 They set up operations in thirty-eight prison camps where the majority of Russian prisoners were incarcerated. 16 This post-war WPA work consisted of two parts. 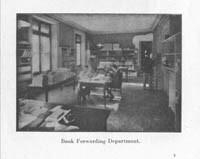 Association secretaries served the American and British officers and soldiers detailed to supervise the Russian prisoners, providing books, phonographs, movies, and athletic equipment to help ease the monotony of their duties. 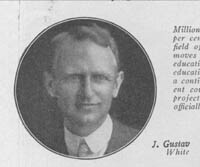 The American Library Association (ALA) sent books, magazines, and newspapers to the guards. To ease the problem of homesickness, Hoffman improved postal deliveries to American guards. Mail delivery was slow and haphazard, but Hoffman used his experience with German authorities to improve efficiency; parcels forwarded through the American YMCA received priority from German postal officials. 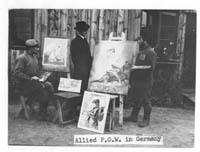 As a result of this relationship, the American Military Mission asked the YMCA to distribute U.S. mail in Germany. Never was there better or more work by few workers than that done by the American YMCA, whether for our prisoners in German hands, for the Russian prisoners, or for the force of this Mission in Berlin or in the camps. Particularly effective were your efforts with respect to the improvement of Russian morale. Prisoners for more than four years, ill fed, half clad, homesick, and rebellious, they were almost desperate when the Inter-Allied Commission came into control. Every available agency was called upon to assist-save the American YMCA. It volunteered before anyone could ask for its active interest. Many difficulties confronted Mr. Hoffman, but we managed to push them aside so that you and your staff were then free to accomplish-and you have wrought-miracles. 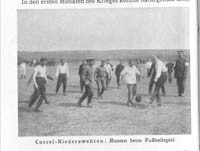 Football, baseball, and other athletic sports, libraries, schools, theaters, and orchestras came to the rescue of hundreds of thousands of those in captivity.